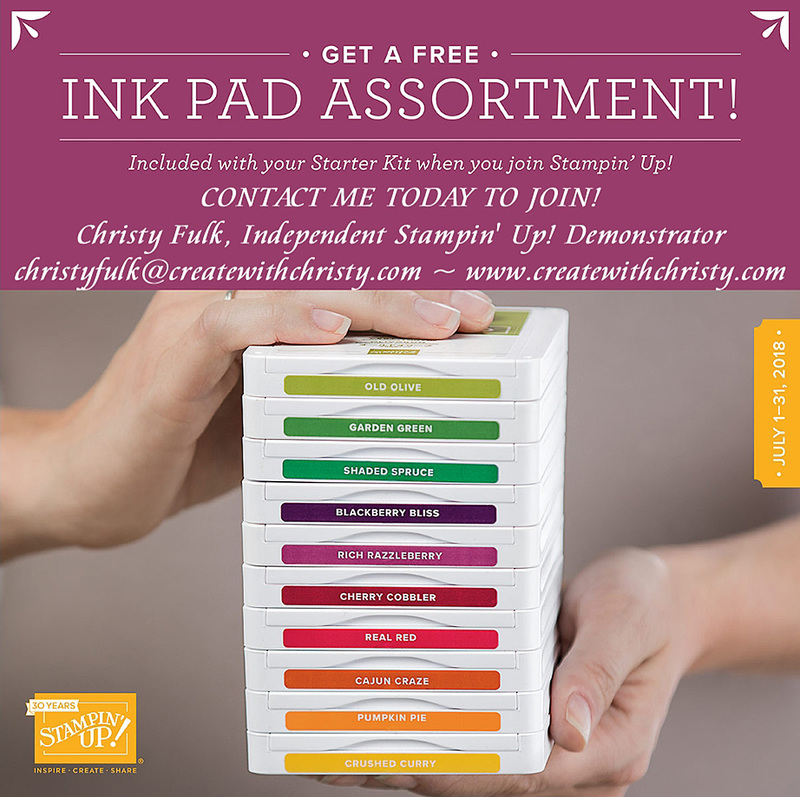 Create With Christy: TOMORROW is Last Day to Get a Free Ink Pad Set! 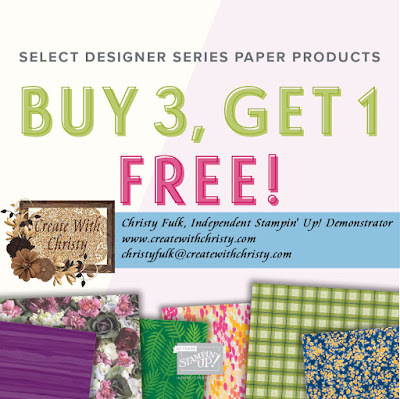 TOMORROW is Last Day to Get a Free Ink Pad Set! 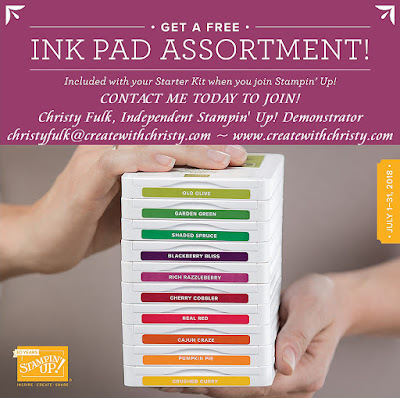 THIS IS YOUR LAST CHANCE TO GET 10 CLASSIC STAMPIN' INK PADS FREE! 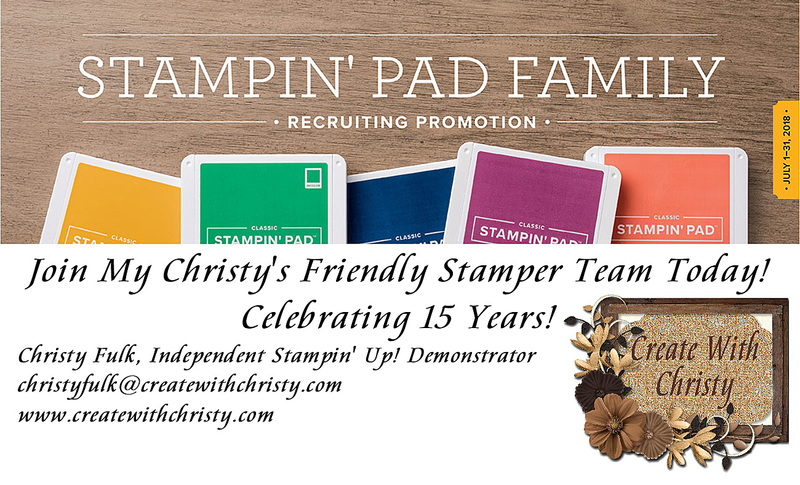 Get A Free Stampin' Pad Family Set of Classic Ink Pads Of Your Choice FREE When You Join My Christy's Friendly Stampers Team by TOMORROW, July 31, 2018! That's an added value of $67. 50 (plus free shipping) to your Starter Kit! Promotion Ends TOMORROW, July 31, 2018! 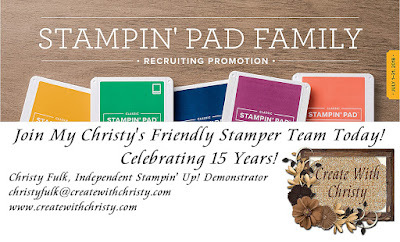 Free assortment of Classic Stampin’ Pads available only to new demonstrators who submit applications within promotion dates. 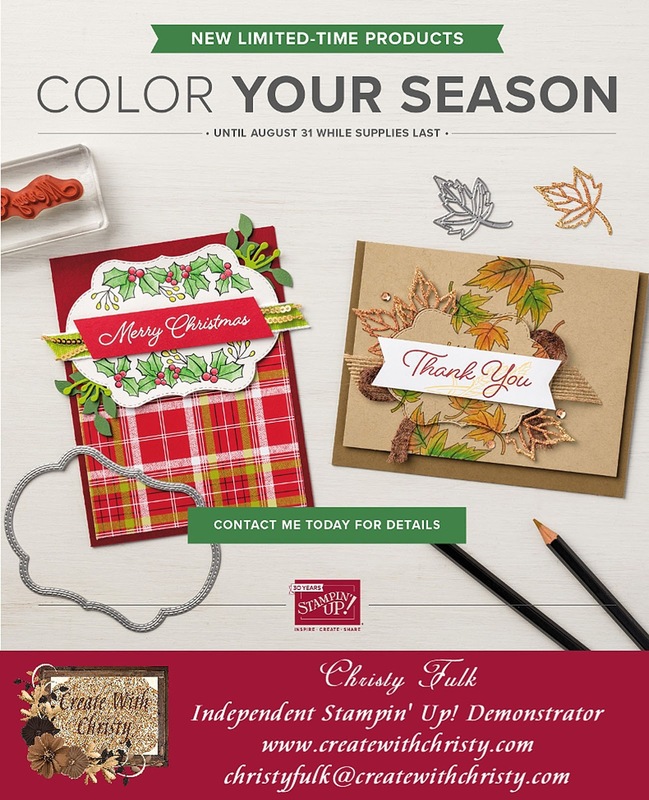 The 2017–2020 In Color Classic Stampin’ Pads bundle (item 150289) is exclusive to this promotion and includes all colors in both the 2017–2019 In Colors as well as those in the 2018–2020 In Colors. The Neutrals assortment does not include the three Basic colors: Basic Black, Very Vanilla, and Whisper White. New demonstrators who submit their IDA before July 1 or after July 31 will not be eligible for this promotion. I’ve been married to my wonderful husband, Ken, for 29 years now. Stampin' Up! was only one year old then! We have 3 wonderful children - Whitney (27 today! ), Stephanie (24), & Alex (22). I have been with Stampin’ Up! since April, 2003. Yes, that's 15 years this year...15 wonderful years that is! This is the best job I have ever had! I LOVE all of the wonderful things I've learned along the way! It is wonderful making my own hours.This enables me to be there for my family. My family comes before my business, which is exactly the way Stampin’ Up! wants it! If you would like to learn more about becoming a demonstrator, or if you would like to earn some free stuff as a workshop hostess, please give me a call or send me an e-mail! I’d love to hear from you. Your choice of up to $125 worth of any current Stampin' Up! products. A business supply pack valued at $50! Free shipping on your starter kit (saves you up to $19. 25)! Become a part of my team, and receive team training and perks from me! 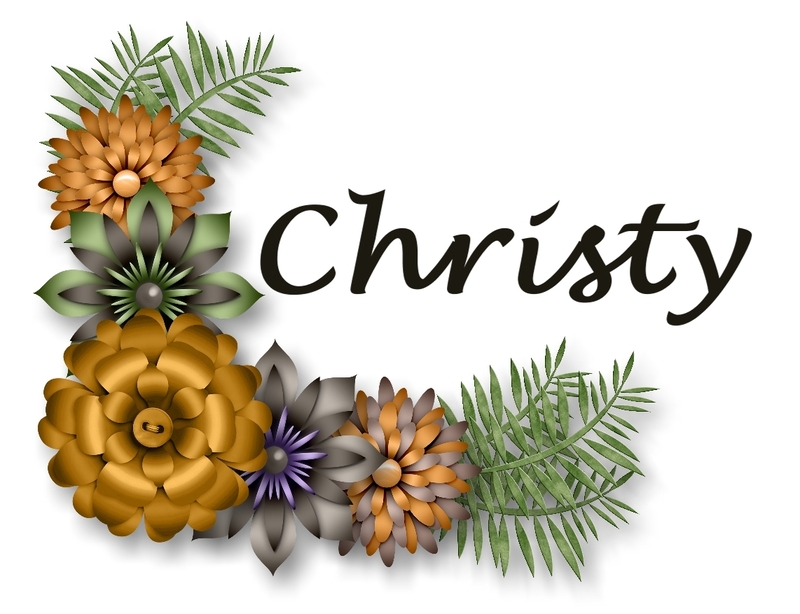 Includes an exclusive Christy's Friendly Stampers Facebook Group! That's a total savings of up to $261. 75 for ONLY $99! There is a Color Your Season Promo beginning August 1. The stamp set, dies, and new watercolor pencils are wonderful, and they're only available to customers August 1 - 31 (while supplies last)! You can add them to your starter kit when you sign-up in July. The pictures above show these products. The stamp set and dies can be purchased together as a bundle at 10% off! 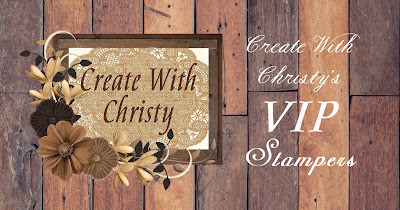 The pictures below show projects that Stampin' Up! made with these products. Joining in July means you can order Holiday Catalog products starting August 1! Yes, that's a whole month before customers can purchase them! Not only do you get them early, you also get them at a 20% discount (and possibly more)! 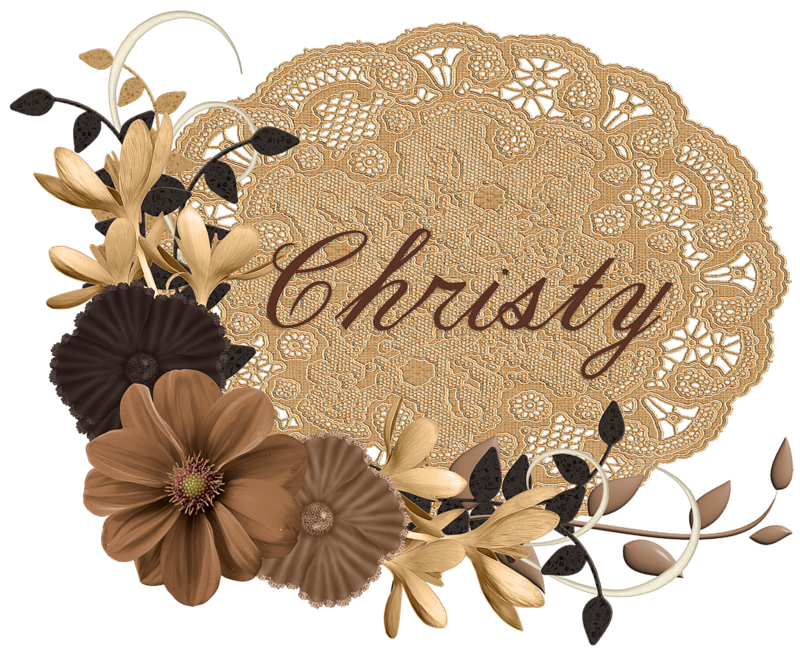 We were just told yesterday about a great workshop host promotion, called Dashing Along Host Promotion, where hosts can earn exclusive Designer Series Paper. Demonstrators can pre-order this wonderful DSP on August 1, too! Bonus Days begins August 1. Demonstrators and customers alike get a $5 coupon for each $50 placed in an order. The coupons can then be redeemed in September! So, when you purchase your Holiday Catalog products early, you'll also be earning coupons for orders in September! As you can see, this is a PERFECT time to become a Independent Stampin' Up! Demonstrator! 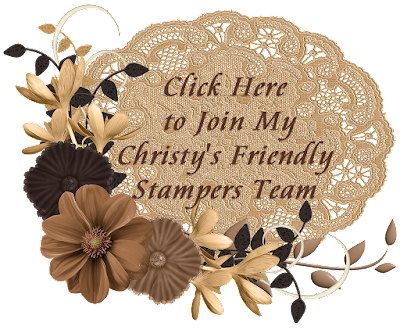 I would love for you to join my Christy's Friendly Stampers Team, and this is a great time to do it! 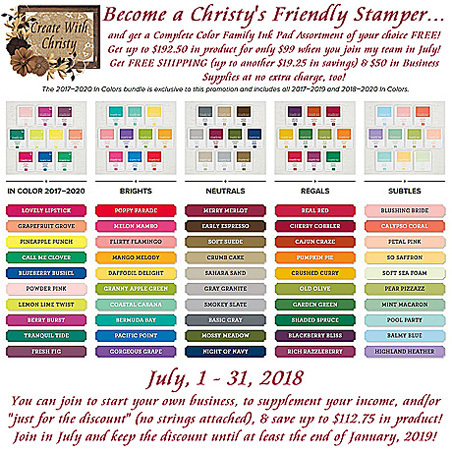 When You join in July, you'll get a complete color family ink pad assortment of your choice added FREE to your starter kit! Click on the picture above to find out more! This is the best time of the year to stock up on some of the New Designer Series Packs in the new Annual Catalog! So many beautiful packs to choose from, too! July Stampin' Up! Promos You Don't Want to Miss!